This is for the sale of a Top level, fully optioned/loaded Macbook pro. Along with laptop, it comes with an external 1080p monitor, external 1tb USB 3.0 Mac drive, mouse, mouse pad. And a couple of other goodies such as thumb drives. Native resolution: 2880 by 1800 pixels (Retina); scaled resolutions: 1920 by 1200, 1680 by 1050, 1280 by 800, and 1024 by 640 pixels. 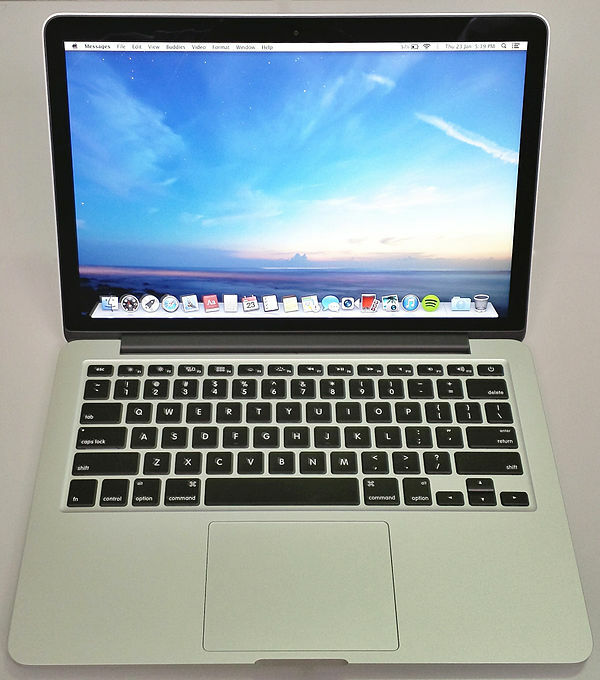 This Macbook Pro is for Gamers/Image manipulators/Audio engineers/Video Editing/DJ'ing. No low ball offers or shipping offers to Nigeria. Have been scammed once where I had to stop shipping, spend money to have it sent back. Which took weeks. So I need to sell this fast. Craigslist has held me up selling it as has ebay. All reasonable offers will be entertained. Less miles or less money? From 0 to 2 in less than 3 weeks!! !